The Wahl Flat Top Comb is a must have tool for any barber or hairdresser and can be used as a guide when using hair clippers. The surface is smooth instead of grooved, which allows for the clipper blade to glide smoothly across it. The comb allows the stylist to create balanced and level cutting with extreme ease as the comb works as a guide for a precise trim. 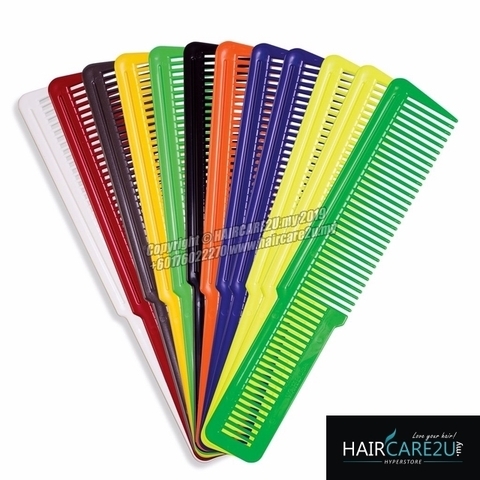 The comb is also a great tool for controlling long thick hair while using your clippers or scissors. 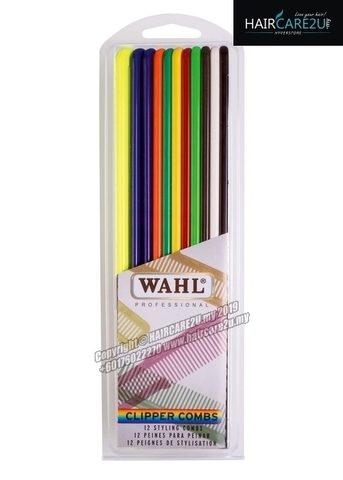 Pack of 12 different colored Wahl Flat Top combs designed to work brilliantly with your clippers to create flat-top hair styles. The tough plastic won't disintegrate at the first touch of your clipper blades and it features a unique pull-through design in the handle that allows you to use the whole length of the comb to create the perfect flat top. Each comb is 205-mm long. This multicolored pack is perfect for those who fancy a change of comb to suit their mood and also make a good retail product for your barber shop & salon. - Pack of 12 includes: 2 x fluorescent yellow, 2 x blue, 1 x orange, 1 x green, 1 x yellow, 1 x red, 1 x fluorescent green, 1 x grey, 1 x black & 1 x white. - Must have tool for any barber or hairdresser. 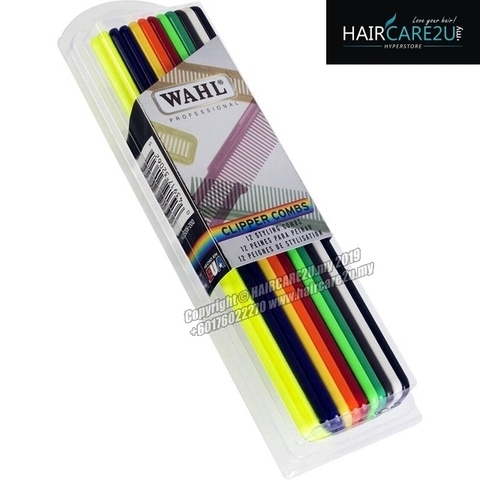 - Great tool for controlling long thick hair while using your clippers or scissors. - Allows the stylist to create balanced and level cutting with extreme ease. - Smooth surface which allows for the clipper blade to glide smoothly across it.